Dr Laura Hart is an Australian Rotary Health Postdoctoral Research Fellow. She completed her PhD at the University of Melbourne, co-supervised by Prof Tony Jorm and Prof Paxton. She has been working in the field of public mental health research since 2007. She is a member of the ﻿Academy for Eating Disorders﻿, Australia and New Zealand Academy for Eating Disorders, National Eating Disorders Collaboration, ﻿Alliance for the Prevention of Mental Disorders﻿ and Society for Mental Health Research. 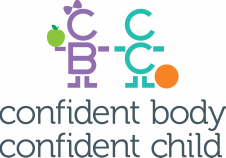 Dr. Hart is leading the Confident Body, Confident Child study.